Say I have a cold storage wallet, is there any way I can make a view only wallet with GUI? 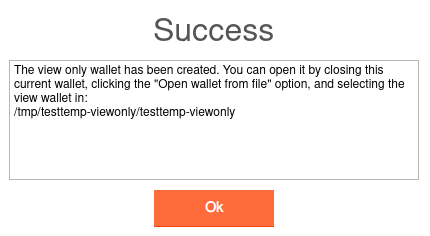 The GUI can now create view only wallets. I've not used the GUI in a while, so I'm unable to give detailed steps, however. Please someone who knows post an answer :) See JollyMort's answer below, I can't delete an accepted answer. The GUI does not support view only wallets yet. However, if you don't really care about having a correct balance, and just want to see incoming transfers (ie, not see spends), you should be able to load a view only wallet made by monero-wallet-cli into the GUI. There may be glitches. Yes, it is possible since monero-gui-0.10.3.1-beta2 release. 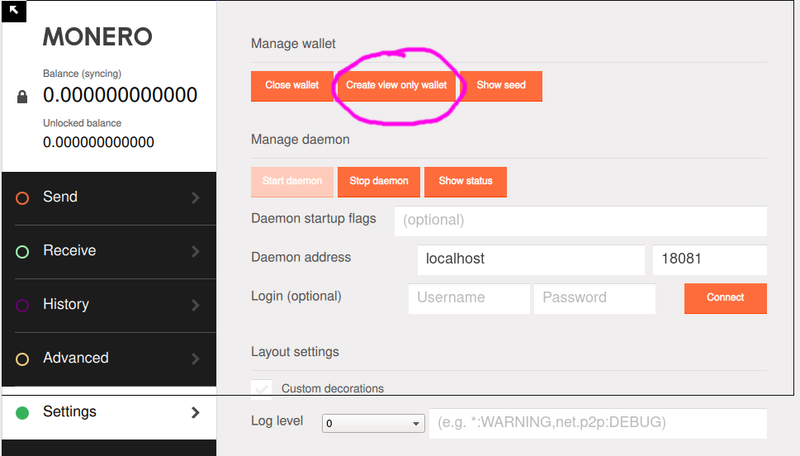 Open your wallet from the GUI, and in the Settings tab you have the Create view only wallet button. Click on it, and a window will show up letting you choose the name of the view-only wallet file and its location. and you will see a confirmation that it has been created.